Weather is not a friend to skaters. Unlike surfing or snowboarding, a bad bout of weather can ruin a day of sidewalk surfing. Whereas storms only mean bigger waves or fresher powder for those on the slopes or ocean, the skater thrives under clear skies. 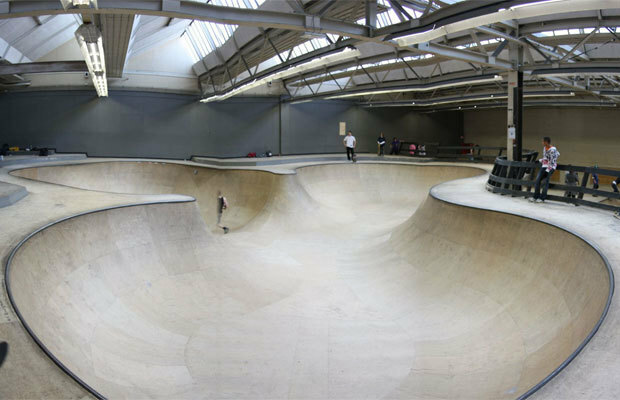 Thankfully, tens of thousands of years of evolutionary processes have given humans a big enough brain to come up with a solution to this conundrum: the indoor skatepark. Far from its namesake in the Nevada desert, this park in Eindhoven, the Netherlands certainly feels otherworldly, especially when you’re tearing up the bowl while it’s several degrees below zero just outside. The Skatepark of Tampa (SPoT) is the spot to be if you find yourself in Florida on a muggy summer day. Besides the great A/C, the park has constantly changed its setup since it opened in 1993, offering plenty of runs for beginners and pros alike. Portland is no stranger to the rain, so Commonwealth is like a ray of sunshine to the local skate community. One of the few concrete parks in the country, Commonwealth looks like someone took Portland’s famed Burnside park and dropped it in a warehouse. Formerly known as Playstation until the sponsorship changed, this park was recently refurbished by Nike SB and rides beautifully. Whether it’s appropriate to classify this urban park as properly ‘indoor’ is a matter of debate—it has a roof, but no walls. The Midwest knows the true meaning of ‘cold as f**k’ and it should come as no surprise that it hosts some of the most rad indoor parks in the good ‘ol US of A as a result. Among the awesome parks that dot America’s heartland, you might call Milwaukee’s Cream City the cream of the crop. Seriously though, if you’re trying to recover from your hangover in Beer city, there’s no better place. The original Vans skatepark opened in Orange County in 1999 and since then, its wooden street and vert structures have become a well-known SoCal icons. Plus, at 20,000 sq. ft. the place is massive, so you never have to wait too long between lines. 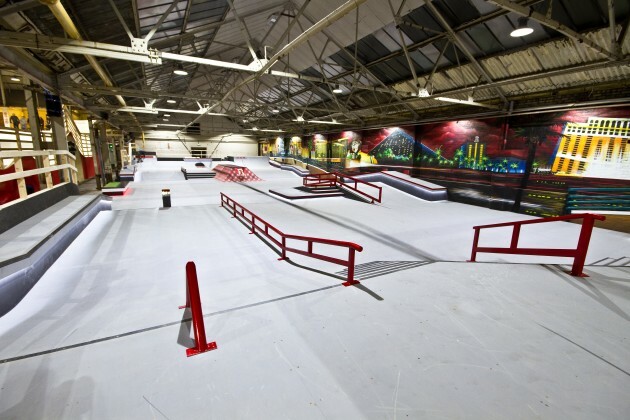 Located between Liverpool and Manchester, Ramp1 is an indoor skate paradise. While the UK is renowned for its perpetually slate-colored skies, there’s plenty to keep you occupied here on a rainy day. With everything from a huge landing mat to a 112-foot bowl, the park has something for everyone. 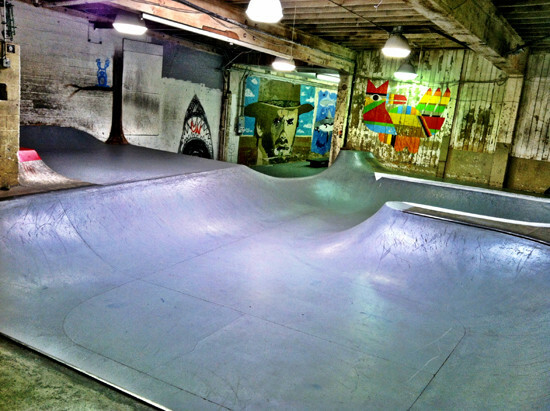 Even older than the Vans park, Skatelab opened in 1997 in Simi Valley, California. Part of its longevity is attributed to the fact that it is also houses a free museum dedicated to the history of the sport. It’s also home to the skateboarding hall of fame and houses one of the largest collections of skateboards in the world. Rush is huge—40,000 sq. ft. of indoor skating space, but that’s only half the reason to go there. 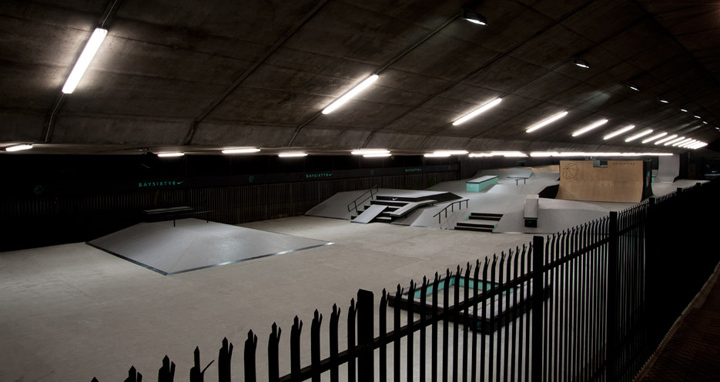 There are some awesome and unique runs to be found at England’s premiere skate park in addition to a wonderful aesthetic. Hosting not only street lines but also street décor, you’ll feel as if you’re skating around Jolly Old England as you dodge street lamps on your way to the halfpipe. Australia’s only concrete indoor park, The Park at Geelong in Victoria has plenty to boast about. In addition to being a concrete paradise for the skaters of Oz, it also houses Australia’s biggest Vert ramp and the country’s only Mini Mega.